The author’s original Stargirl novel could be read as a plea for the celebration of teenage nonconformity in an otherwise conventional small town high school set in Arizona. In this current story, the self-named 15-year-old Stargirl has now fled the scene where she was finally ostracised by her contemporaries in favour of home schooling somewhere far away in Pennsylvania. No longer persecuted for her amiable eccentricities, persistently visited upon others whether they liked it or not, she now has full licence to develop her Pollyanna-style recipe of personal fulfilment through attempting to bring joy to everyone else. But crying when she sees the first crocuses of Spring, saying ‘Good morning’ to clumps of daffodils, tossing any loose change on the sidewalk to be found by others and continually chatting to her pet rat Cinnamon, Stargirl on her own without any opposing dynamic soon turns into an embarrassing confection of outsize sentimentality, narcissism, and egotism. Making a six–year-old girl with a persistent line of baby-talk into her best friend, Stargirl carries all before her as an agoraphobic neighbour finally starts leaving her house once more and a lonely old man turns friendly again. 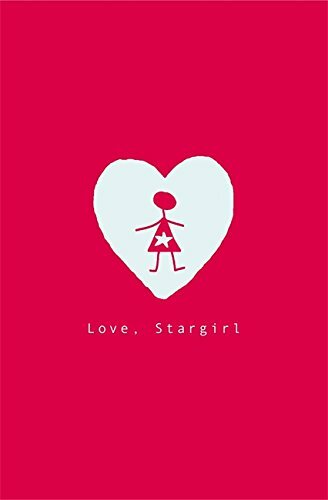 Stargirl herself pines for the boy she fell for in her first book, with this current novel written as a long letter to him. Somewhere in these pages there is a better novel struggling to get out, but at the moment it can only really be recommended for those who like their saccharine neat and in generous quantities.